Real wood exterior shutters add a touch of classic elegance to your home, improving its curb appeal and increasing its value. 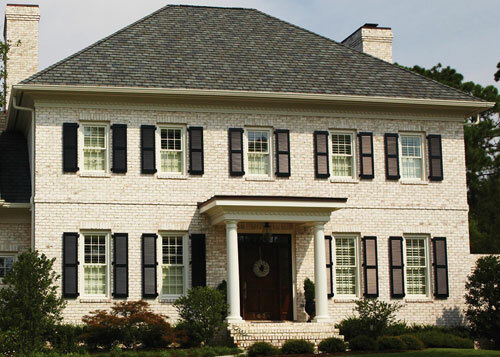 We offer the finest cedar, pine, and basswood exterior shutters in the industry. You can choose from a range of styles, including raised panel, flat panel, board-n-batten, and fixed louver (1 ¼" and 1 ¾"). 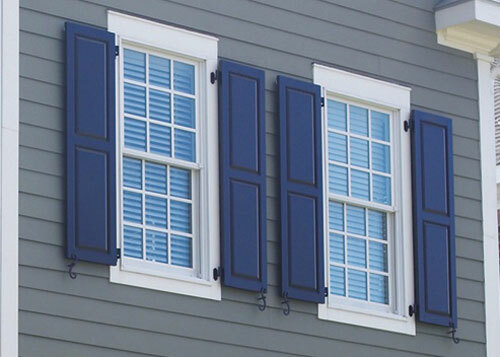 All of our exterior wood shutters can be custom-painted to match or complement the color of your window trim. 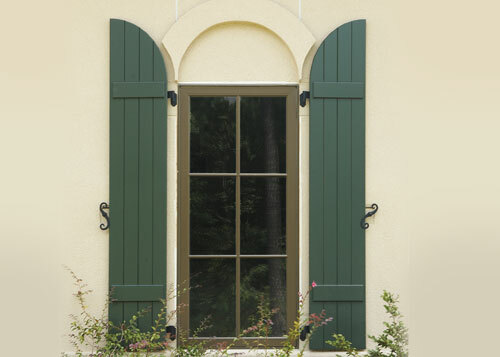 You can also customize your exterior shutters with decorative vinyl or wrought iron hardware, divider rails, and more. In addition to our quality cedar, pine, and basswood exterior shutters (see previous section), we offer custom Bermuda-style exterior shutters. Also known as Bahama shutters, these hardwood window treatments are perfect for gazebos, cabanas, and verandas. 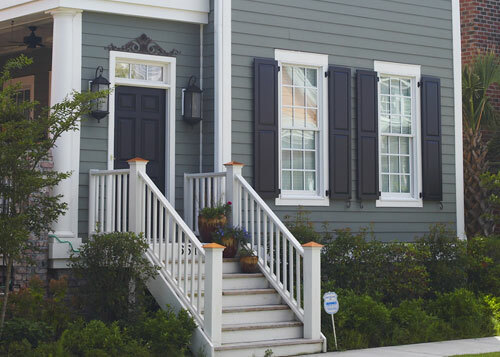 Our Bermuda shutters feature wide, fixed louvers with a flat face, set in a 1 ⅜" frame. 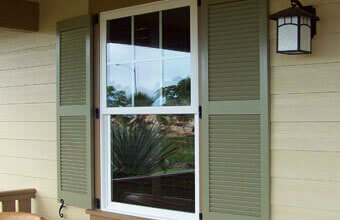 This frame thickness makes our Bermuda shutters ideal for use as awnings. 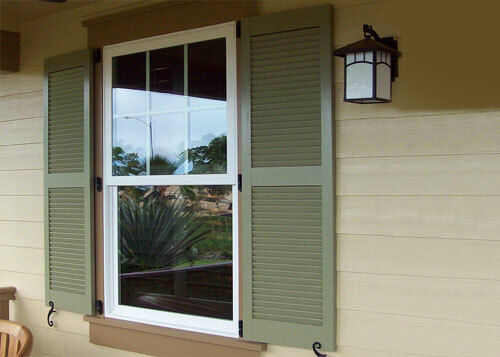 We can paint your Bermuda shutters in a custom color that matches or enhances your window trim, and all of our shutter installations are custom designed for a perfect fit. We also offer exterior wood shutters that you can paint yourself. We deliver them to you unfinished or primed and ready to paint. These exterior shutters are made from the finest hardwood and are available in custom sizes. They feature fixed louvers in your choice of 1 ¼" or 1 ¾", and divider rails can be included if you prefer. If you choose to paint your shutters yourself, we recommend that you paint each primed shutter on all six sides with a heavy coat of exterior paint prior to installation.